Mrs. & Mr. Sharma Allahabad wale depicts the journey of middle class family instilled with small town values and beliefs. The head of the family, Mr. Drasht Dyumn Prasad Sharma, is a man who is happy with his family and job, ... Read more.. This Serial going to complete? .Tanya. 0 1778 11 January 2011 at 8:51pm, by .Tanya. Do u really like Divyanka in this avataar? .Tanya. 0 1347 25 November 2010 at 3:38am, by .Tanya. .Tanya. 0 750 04 November 2010 at 2:55am, by .Tanya. .Tanya. 0 462 02 November 2010 at 9:25am, by .Tanya. Divyanka Tripathi's journey on the Television! Why is Divyanka scared of villainous roles? Divyanka Tripathy bans smoking on the sets on Ye Hai Mohabbatein! 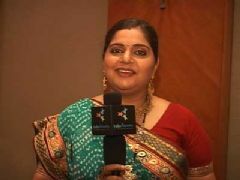 "I am laid back till I get to know the telecast dates"
Mrs. & Mr. Sharma Allahabad wale TV Show forum is a very active community of Indian television viewers worldwide discussing SAB TV's Mrs. & Mr. Sharma Allahabad wale TV Show. Our forum currently has over 110 active discussion topics about the show. 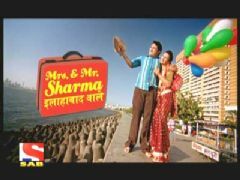 And you will also find all the latest Mrs. & Mr. Sharma Allahabad wale videos, news, cast, synopsis, photo gallery, and much more only on India-Forums.com.